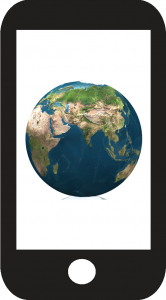 Communications Alliance yesterday submitted a revised version of the 2012 TCP Code, seeking approval from the Australian Communications and Media Authority. Naturally, tcpcode.com.au will give service providers the best available support in understanding and implementing any changes that ACMA approves. 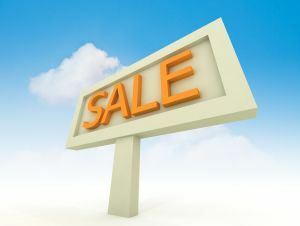 Telco Live Connected has scored a formal warning from ACMA for breaches of the TCP Code’s billing and credit management rules. 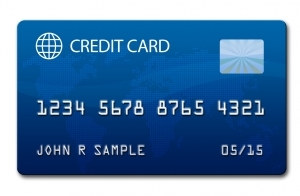 The mobile service provider was pinged for taking credit management action over disputed amounts and for breaching the Code’s rules about Direct Debit arrangements. But the warning includes a curious and controversial opinion on an important aspect of the law. What did the telco go wrong? Live Connected stumbled over three specific TCP Code rules. Two Victorian telcos have drawn fire from ACMA for failing to publish Critical Information Summaries as required by the 2012 TCP Code. The Authority today announced it had issued a formal ‘direction to comply’ to each of them. A ‘direction’ is ACMA’s way of cocking its enforcement gun. It isn’t a penalty in itself but a breach of the direction allows ACMA to apply to the Federal Court for a penalty to be imposed … up to $250,000 for each contravention. But interestingly, although the directions were both dated 23 May 2013, and required compliance by 21 June 2013, we still can’t find CIS statements on either site. 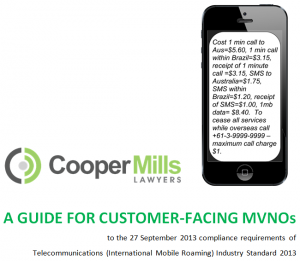 From 27 September 2013, the Telecommunications (International Mobile Roaming) Industry Standard 2013 requires mobile resellers to either (A) SMS international pricing and opt-out information to customers who go offshore or (B) give customers an info pack about international roaming. Since Option A is not currently technically feasible, telcos will have to issue the info packs for the time being. So you need to understand what goes into the pack, and when it must be provided. In this article, we’ll explain what the pack needs to contain. As has been widely reported, the Australian Communications and Media Authority has registered a new Industry Standard aimed at reducing bill shock from international mobile roaming charges. Cooper Mills today released two guides to help resellers of mobile services gear up for the new requirements that launch on 27 September 2013. The Standard complements the TCP Code, by implementing a number of consumer awareness measures in addition to those required by the TCP Code. Resellers, or MVNOs as the Industry Standard calls them, need to understand the very precise requirements the new law demands of them. And telcos that telemarket must be especially alert. Every Offer needs a CIS, but what’s an Offer? It’s a good question, in some cases without a clear answer. 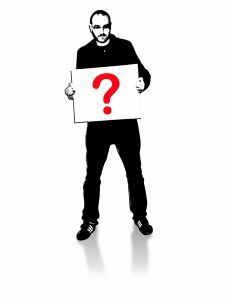 When does a telco have to provide a Critical Information Summary? We’ll explore the issues in this article, and offer some opinions about how the Code works in this important area. 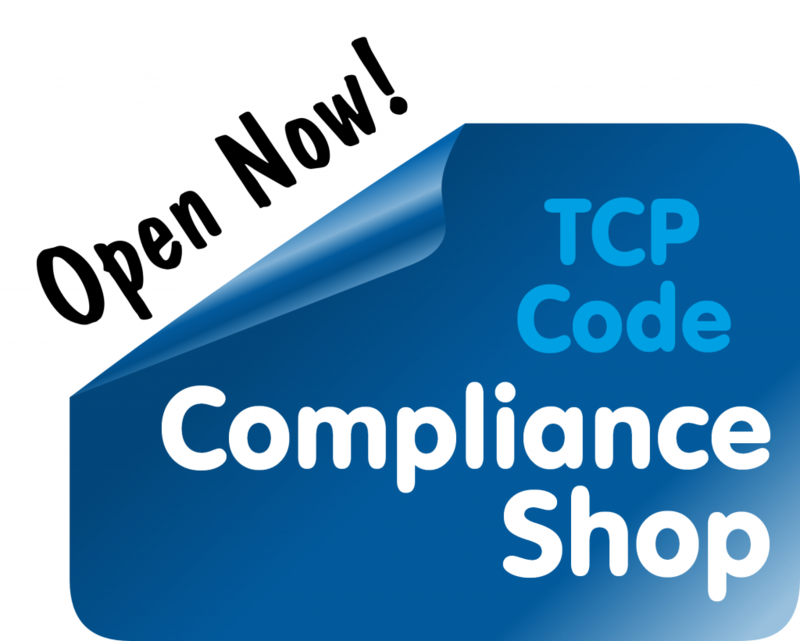 As it considers what to do with telcos that failed to lodge their 2013 TCP Code compliance documents, ACMA is very keen to be assured that providers have registered with Communications Compliance, the Code monitor that’s nicknamed CommCom. Its approach makes sense from a couple of perspectives. If a telco hasn’t lodged documents and still hasn’t registered, it might be easy to conclude that it really isn’t serious about TCP Code compliance. And once a company is registered, it will be kept in the loop by CommCom as 2014’s lodgement deadline approaches. Here’s how to get registered. The Australian Communications and Media Authority is notifying telcos that failed to lodge their TCP Code compliance documentation that they are subject to a ‘preliminary breach finding’. 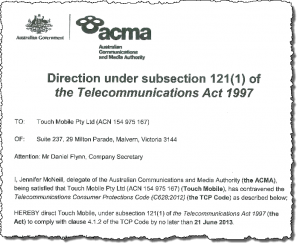 ACMA’s letters invite any submissions the telco wants to make, to be lodged within a few days. The letters we’ve seen so far are all dated 20 June 2013 and call for any submissions by 1 July. What does the letter mean for a telco, and what should you do about it? We’ll explain. Last Thursday, the Senate’s Environment and Communications Legislation Committee gave a green light to the Telecommunications Legislation Amendment (Consumer Protection) Bill 2013 (TLACP Bill) that was introduced into Parliament back in March. The TLACP Bill would tweak the Do Not Call Register Act, and provide for independent reviews of the TIO Scheme. But for our purposes, its key payload is a new process that would allow the TCP Code to be amended.